Just finished tonight’s class and thought we’d unpack what the postie brought this morning. 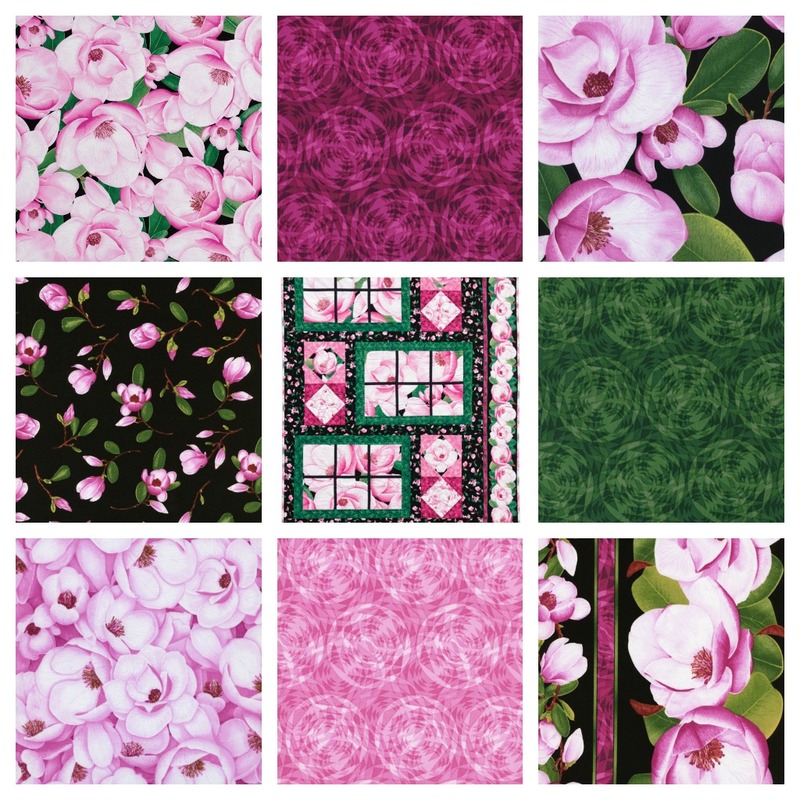 How nice is this fabric – and fits perfectly with the pink theme for February. The fabric is by Timeless Treasures and is called ‘Flora’. There are several sizes of magnolias in this range from the very large scale luscious full-blown variety to small pink buds. A border fabric and coordinating textured ‘plains’ complete the range. This is perfect for quilting, home decor or apparel projects. Large graphic prints are on trend at the moment and they can be used for appliques or just as part of a pieced quilt as in the central photo. It is a quilt made from a free pattern here http://www.ttfabrics.com/projects/flora/ (well you all said you wanted free patterns so here’s one for starters – an interesting asymmetrical design. Let me know what you think.